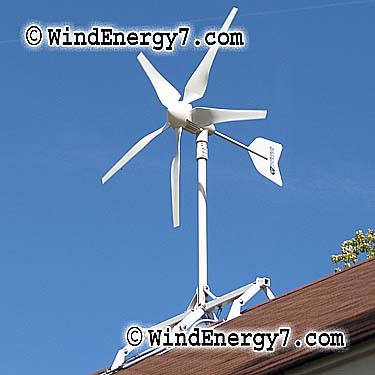 HO-1.4kW (High Output) 1 Rooftop Turbine Wind/Solar, Grid-Tie Complete Kit. *Sale prices not available WITH dealer sales commissions. Dealers can either buy at sale price or dealer price, NOT BOTH. WE7 cannot sell at a loss. 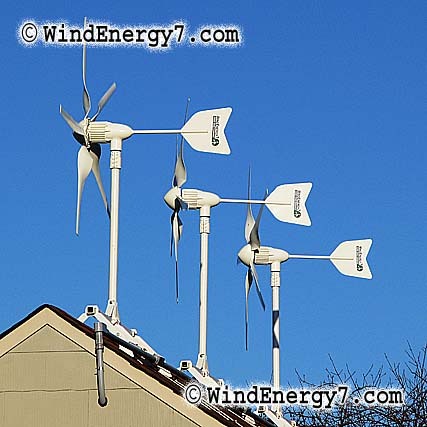 3 turbine HO system installed and running - if you turn up the sound on this clip at right, you can hear the cars driving by the house are far more noisy than the system running on the roof. 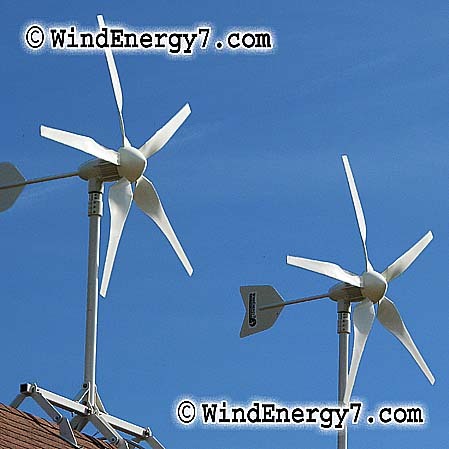 You can hear crickets, birds, tree leaves blowing, all louder than the sound of these quiet smooth turning systems.